Sports marketing agency will focus on esports sponsorship to help McDonald's engage teens and tweens. HAMBURG — McDonald’s Germany is to double-down on esports after ending its 15-year relationship with the German Football Association, and has hired sports marketing specialist Jung von Matt/Sports as its sponsorship strategy agency. Jung von Matt/Sports will advise McDonald’s as it reorganises its sponsorship strategy, including introducing more digital and social elements as well as on-the-ground presence at events. The fast-food chain has identified esports – multi-player video game competitions – and “trend sports” (which include activities such as drone flying championships, a form of tightrope walking known as slacklining, stand-up paddleboarding and speed badminton) – as a channel to reach a target audience of tweens and teenagers in Germany. 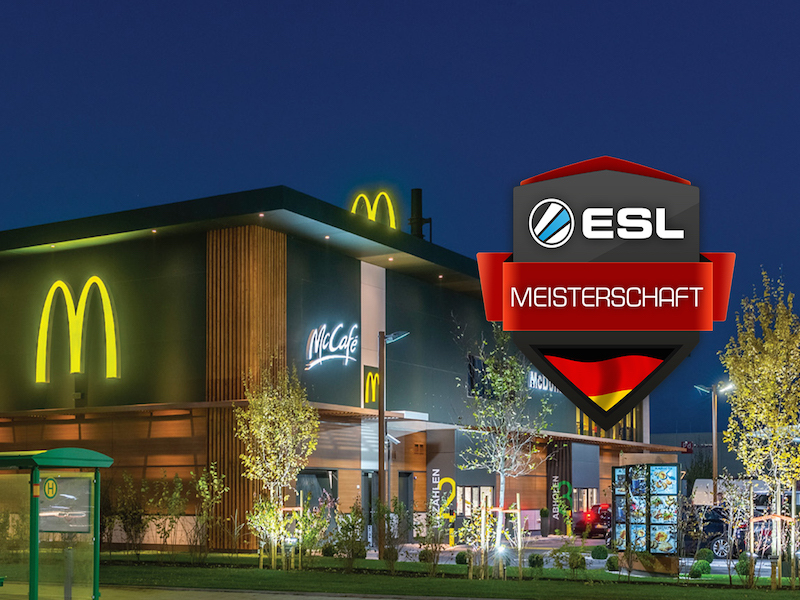 McDonald’s will continue the partnership with ESL (formerly the Electronic Sports League) that it started in January this year, as official partner for the ESL Meisterschaft, the company’s national championship in Germany for Counter-Strike: Global Offensive, League of Legends and FIFA. McDonald’s joins a growing roster of esports sponsorship clients at the agency, including Mercedes-Benz, Vodafone and Pringles.